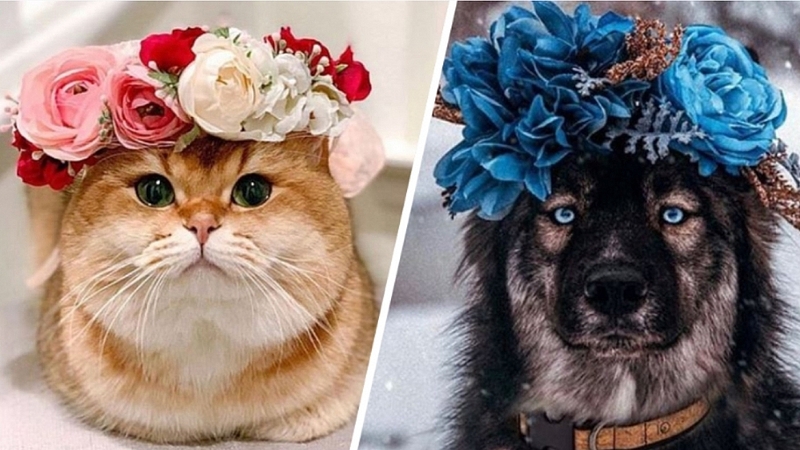 After creating an Instagram for her and being her momager I spontaneously created a flower crown to use for our photoshoots. I received such positive feedback that I decided to begin making crowns for other dogs to spread the love. Now I make them for dogs and people! After some time I felt ready to venture off and create a brand for these floral crowns and watch them flourish. So, here we are. This is a small business that I hope grows to inspire and adorn you and your pup! Her work can be seen here below and you have to admit, these photo shots are spectacular. Joey rocking a flower crown always gets me!  . . The following is from @thehuskyjoey ‘s post: . “Today one of our favourite company's @tentree launched their new cork dog collar and leash set. We were lucky enough to be selected to give their new dog line a test drive. TenTree is a lifestyle apparel company, but they are also an environmental advocate. For every item of apparel sold, 10 trees are planted. If your looking for a new adventure collar, click the link in our bio and make sure to use HUSKYJOEY15 at checkout ” . . @thehuskyjoey is also a brand rep so you can get a discount code for the shop too! Leo looks absolutely royal.  . . . NEW pieces are going up on the site in just a couple hours so be vigilant! 50% of today’s sales will be donated to a dog & cat shelter @vucjakshelter . Make sure to watch my instastories to stay updated. I love those big soulful eyes!  . . . I am working on new pieces!! Stay tuned! ☺️ Still accepting remakes of sold pieces so DM me if you’re interested. Leo the king of the forest. . . . . Leo is a brand rep so definitely check out his page for a discount code.  . . . The next release will be primarily collar pieces. I will sneak in a couple crowns. I’m working on it as much as possible. It’ll likely drop toward the end of the week or during the weekend. I will let you all know when the next release is ASAP! Leo is always ready for his close up.